Presenters include renowned university faculty, world-class clinicians and top authorities in implant dentistry. The program will be presented over a 10-month period. 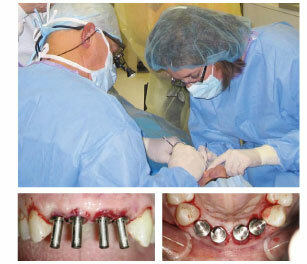 This course is a must for all doctors who want to be proficient in implant dentistry. The OAGD/AAID Implant Maxi-course is the most complete educational approach to implant dentistry that I have been exposed to. I would recommend this course to any doctor that is interested in providing quality implant dentistry to their patients. The OAGD Maxi-course has been one of the educational highlights of my career. If you seek a great foundation of knowledge to build your implant practice upon, this is the course you are looking for. This entry was posted by Dental Continuing Education on June 5, 2009 at 9:15 am under Uncategorized. You can leave a response, or trackback from your own site. Follow any responses to this entry through the RSS 2.0 feed.